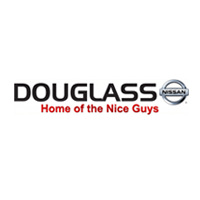 There are numerous reasons why drivers choose Douglass Nissan of Waco. Proudly serving Waco, Temple, Robinson, Woodway and McGregor, our teams of sales advisors, service technicians and financing experts are trained with one focus in mind: addressing each of your needs with the utmost respect, care and attention to detail. That means you can expect to learn all of the features of the specific new Nissan Altima, Rogue, Sentra, Versa or Maxima you’re interested in. In the market for a used car? Our team will be happy to fill you in on each of the reliable options in our inventory. And when the time comes for you to drive home your next car, our auto finance team is standing by with solutions to fit your individual needs. Douglass Nissan of Waco	31.4953532, -97.1602357.